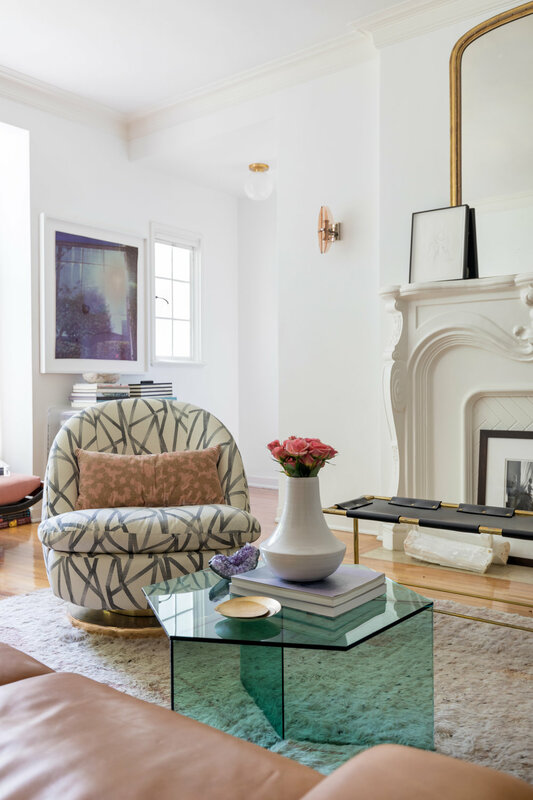 We jumped at the chance to team up with a young art collector to revamp her 1930's era apartment nestled in the famous Franklin Village. 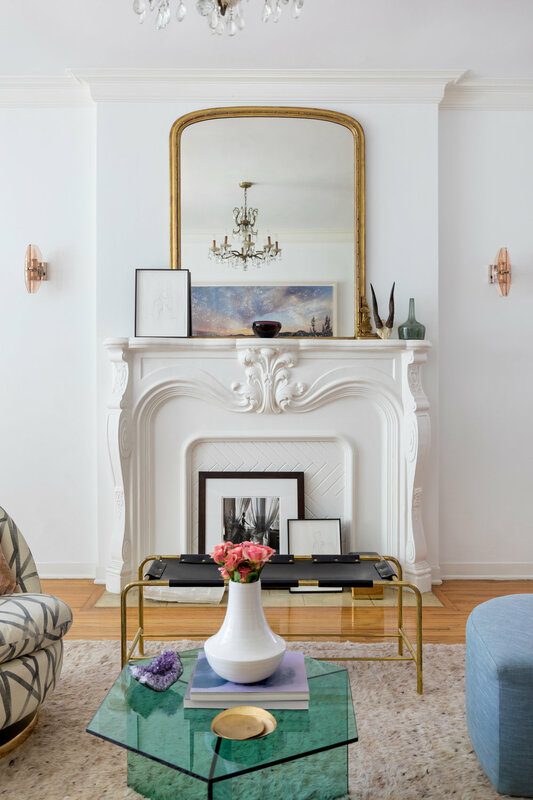 From the start we knew we had to pay proper homage to this Hollywood Regency-style, historic building that boasts plenty of retro detailing - like its romantic fireplace and ornate crown molding. We eclectically wove feminine and glam influences throughout while keeping it all fresh and new with a subtle touch of the modern. Oh, and of course the artful client complemented the elegant finished design with perfectly curated artwork and an enviable book collection.